I just installed Win10 release 1803. The first thing I noticed is the "games" shortcut does not show on the righthand side. I made it work via kludge method, but that was very inconvenient. Mike (AzDude) has forwarded your report to the Stardock support team for their review and recommendations. Please keep an eye on this thread for any updates. We really do appreciate your feedback, thanks. 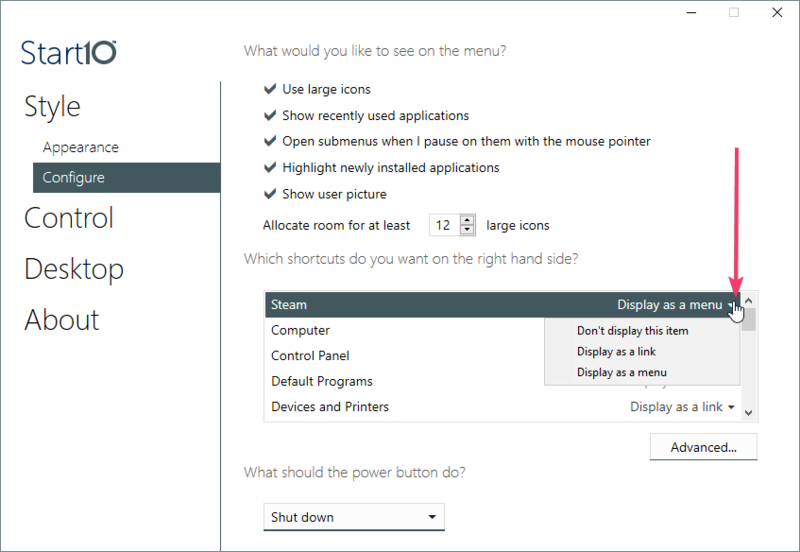 'Games', as a general menu item, was removed back with Windows 8. Okay. I added the folder as above. Is there a way to show as a menu instead of as a link? I have the same issue, I uninstalled and reinstalled "Start10" twice. definitely an issue with the software. I don't like the method shown above because it shows every single file in each game folder.. what a P.I.T.A. !! Believe it or not, I actually followed the instructions that were posted on here and still have the same issue. that solved nothing. Yes, I've tried Youtube.. nothing there. I even went back, deleted all stardock files once again, same issue.. unless, I missed something in the registry? It's just not happening! period... perhaps I need to format c:/ and start all over from scratch? Since from what you have point out, windows new update has broken the link to games. I suggest you manually create a folder with all your games shortcut in it. And point start10 to have that link get listed. I tried making a folder for shortcuts and renaming a shortcut to it to 5 then putting it in \Stardock\Start10\Links , but it doesn't really work. Games will still show up as "desktop" in the Start10 menu and it won't work as a menu. 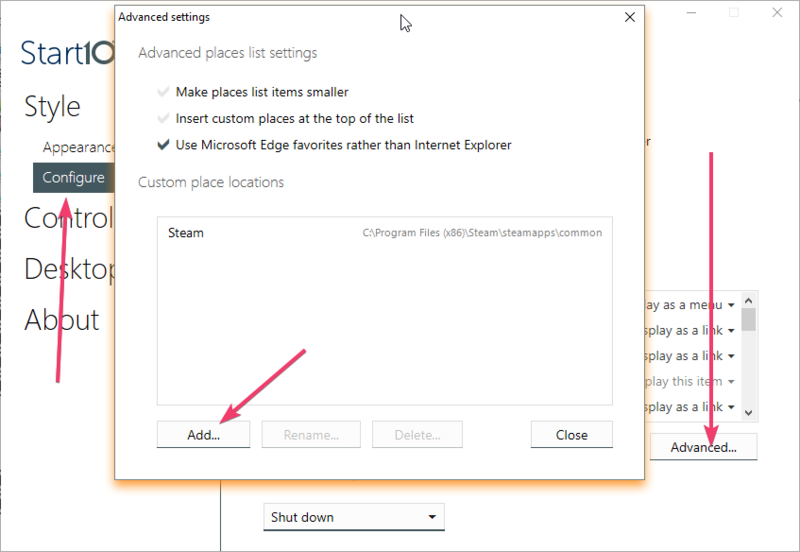 It will work as a link to the folder you created, but in that case I'd rather just use desktop shortcuts or add games to steam to save a few clicks. Did you use the steps that shown in reply#3 for linking that folder with games shortcuts? 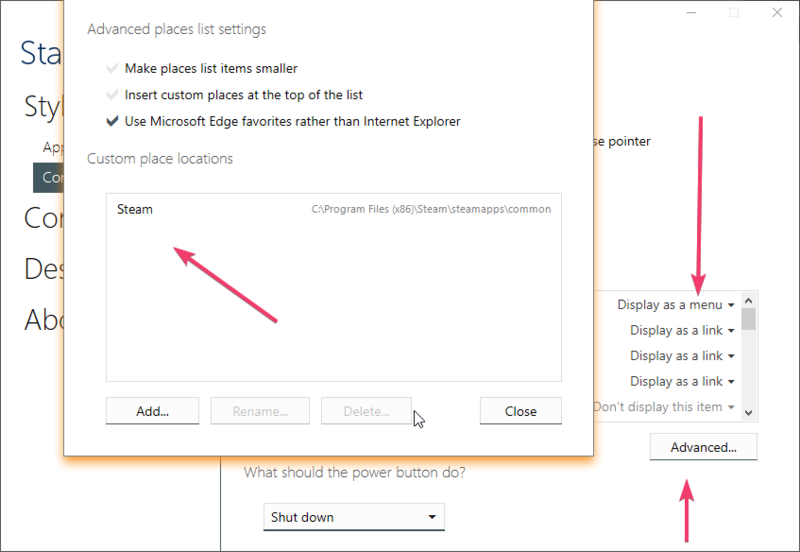 What is shown if you click 'Desktop'? If you delete 'Games', does 'Desktop' go away? Windows 1803 has deprecated the Games and Homegroup pieces of the shell (possibly some others that I'm unaware of). Not sure if we're going to be able to do anything about that yet. Today's Start10 1.60 most definitely does not fix the issue. Desktop shows nothing. 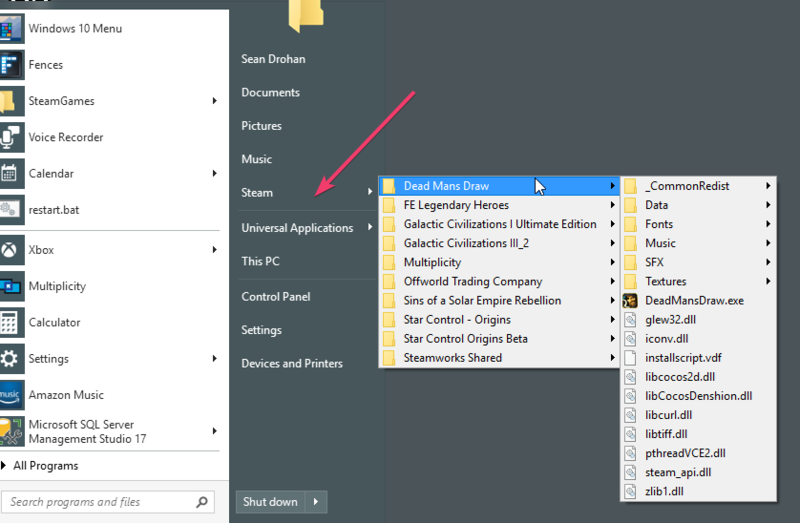 When I deselect "Games" Desktop goes away. I did have an update today. (version 1.6) Does not solve this "problem"
My way to fix it involved leaving the original Start10 Games link installed and then creating another Games just like it. I linked the new Games link to shortcuts that I created in another directory. Create this directory in a folder different from c:/Windows as Microsoft has a habit of deleting this directory when a new release is installed. In the end you will have two Games shortcuts in Start10, which is a little bit of a pain, but it worked for me. I have exactly same problem as user noreply57952, wrote to support, got link to this forum and nothing. I want this bug fixed, I am not interested in workarounds.